Tacoma Woodworks, we can design, manufacture and install your new dream kitchen. In our initial meeting at your house, we will cover your wish list and any layout changes you may want to make, discuss materials and colours, counter top options, lighting and accessories such as pull-out pantry units, corner units and waste centres. With that, we will provide you with detailed drawings and 3D renderings, so you can get a strong visual of what your dream kitchen will look like. 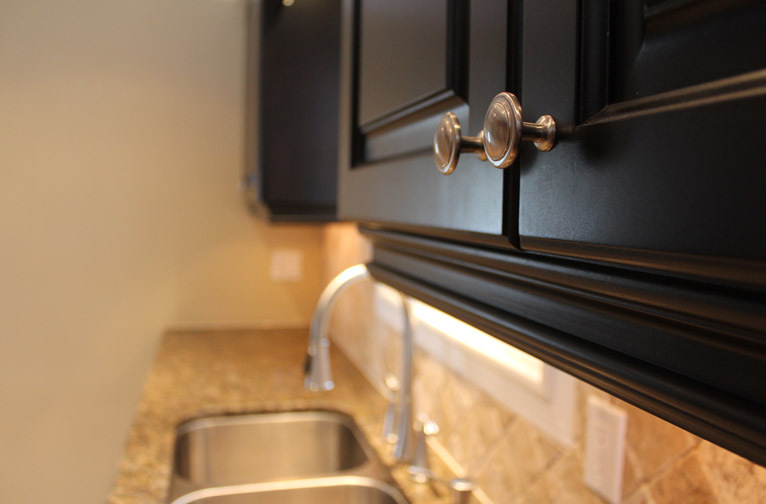 our kitchen cabinets and any posts, range hoods, or other decorative items are hand build and assembled in our shop in Aurora. You are invited during the final assembly to come by the shop and see your kitchen cabinets layed out as they will be in your house. If you want input on certain aspects, a range hood, for example, you can visit the shop at certain points of the construction stages and be part of the design process. 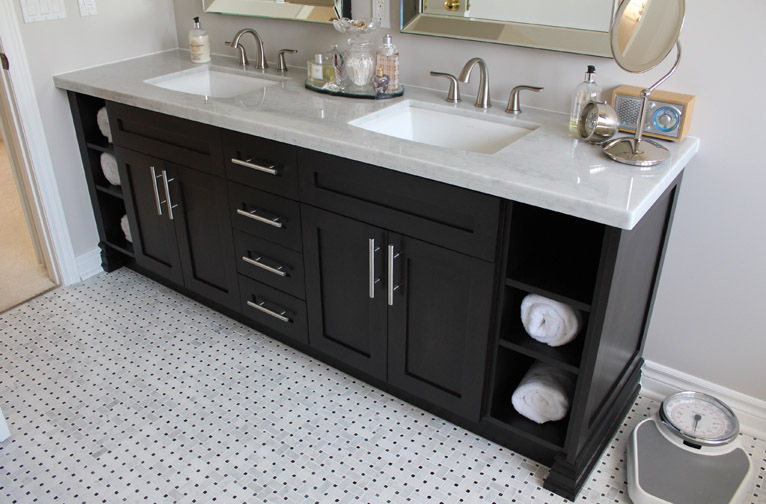 you are renovating your bathroom, we can build your new vanity to any design or specification you have in mind. For example, in one previous job we made two drawer fronts into a single tip-out door and cut out the bottom of the cabinet to be used as a laundry chute into the basement laundry room. We can also manufacture and install seamless solid surface counter tops or a linen tower to maximize space. magine your dream bathroom, perfectly organized and stunningly beautiful for your guests to admire. ost friends and family in a warm and inviting lounge space. Display your valuables and family photos along with artwork in a tidy and creative piece. 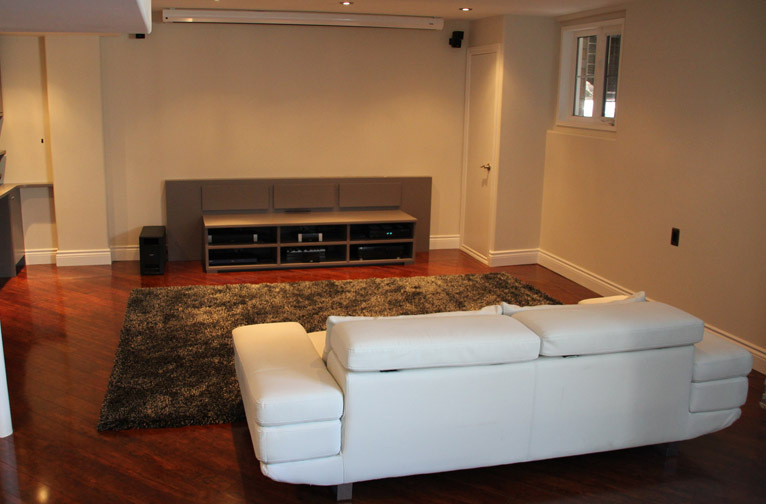 Mount your tv unit and electrical equipment front and centre or ask us about a discreet cover. 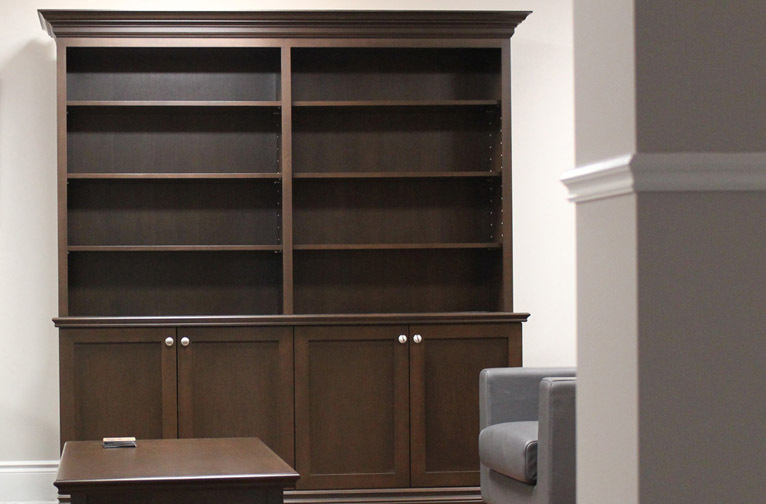 e can construct and install built-ins to fit into any space in your home. From modern, clean lines to traditional face-frame style, we can help you add value and visual impact to you home while providing great storage spaces. ince every fireplace is designed differently, stock components from a retail level may not work effectively in your space. 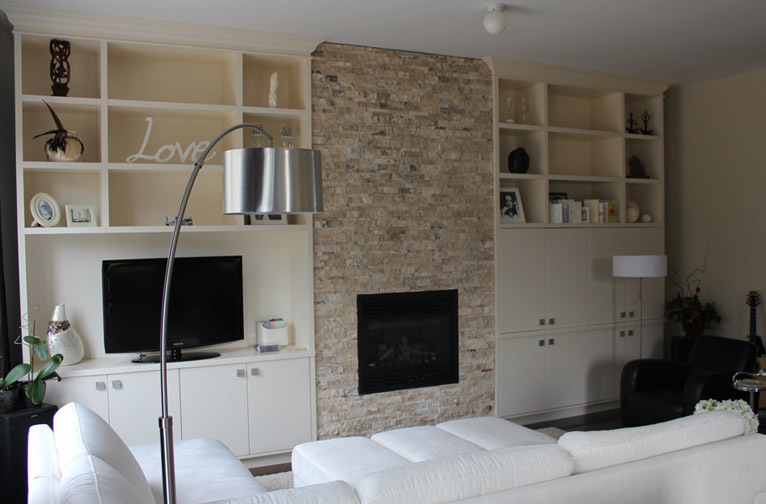 As installation will be different to for each of our client’s needs, we assess the space, look and feel of your fireplace and surrounding conditions, and provide you with the most effective design solution. We will custom build a beautiful fireplace surround or mantel to any design or style you wish.